The walnut accents and maple breadboard ends create a wonderful look that enhances the charm of the natural staining in the wood. The slab is 1.5" thick. 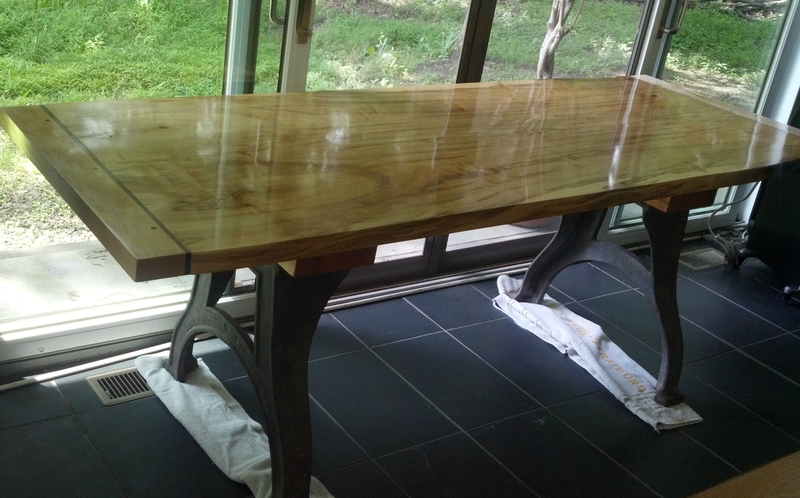 This table is happily living in Pittsburgh but something similar can be made for you.